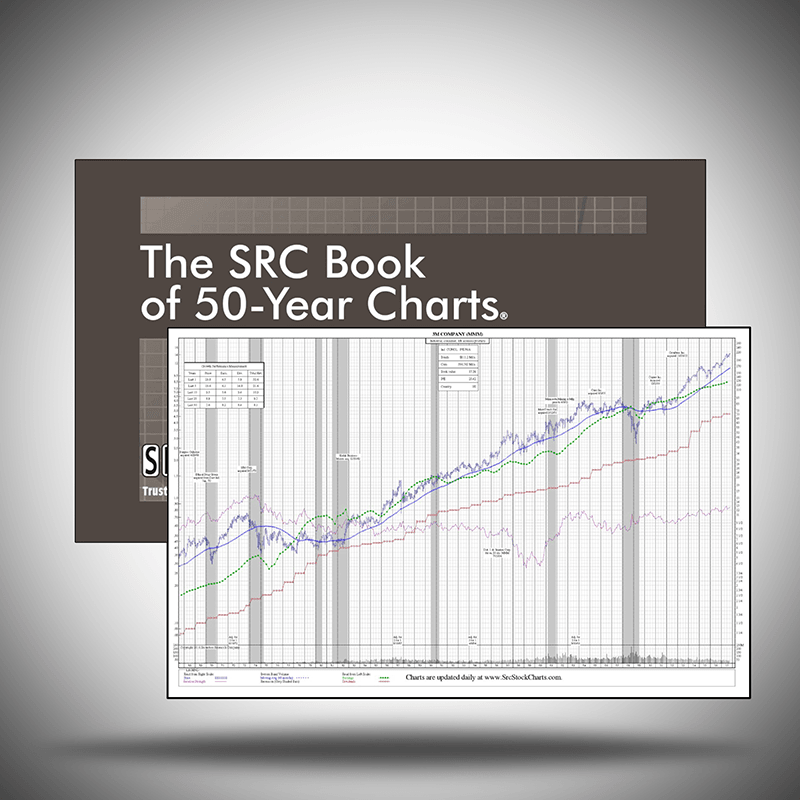 The SRC Book of 50-Year Stock Historical Charts; 2-Volume Set covers nearly 700 companies – with each chart is on its own 8.5″ x 14″ (legal-size) page. 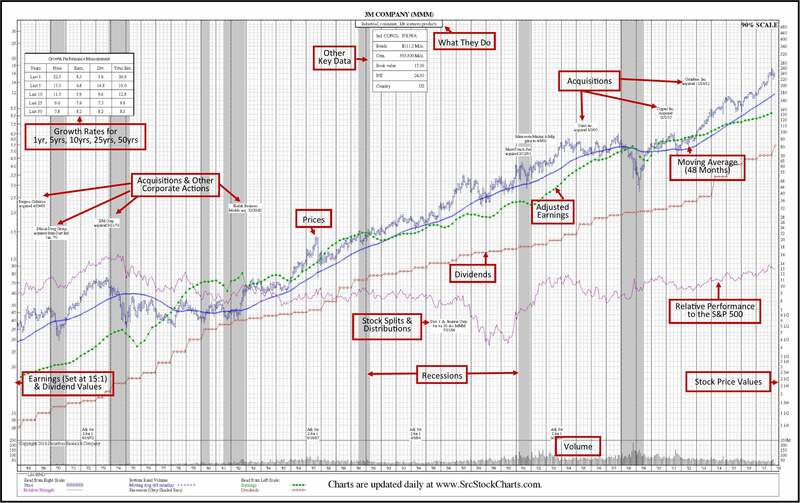 The 50-year historical stock charts provide a clear view of fundamental performance including: price, earnings & dividend growth since 1968. See how each stock fared through the last eight recession and expansion periods. ChartScreen’s Historical Stock Charts arre available on your PC, laptop, tablet and mobile device and provides daily updates for 2,200 equities. 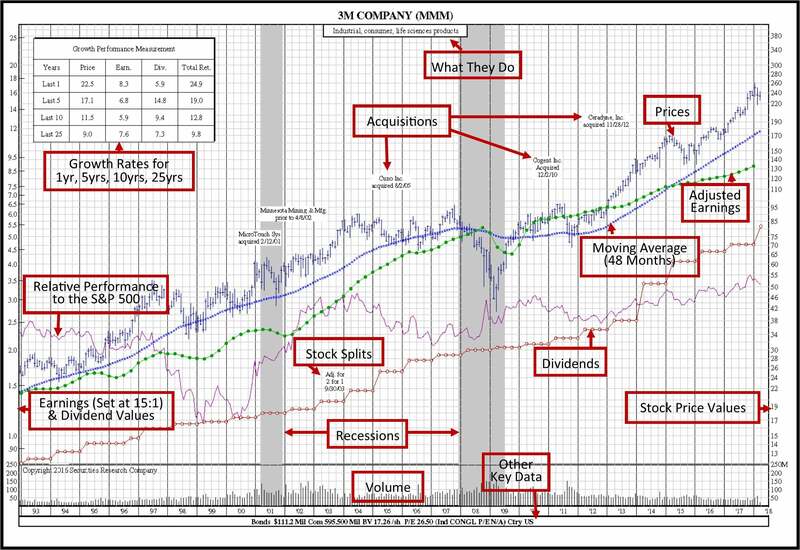 Each of the three historical charts using 3M (MMM) as an example, shows the 25-Year, 35-Year and 50-Year Historical Charts respectively shown to the right side. 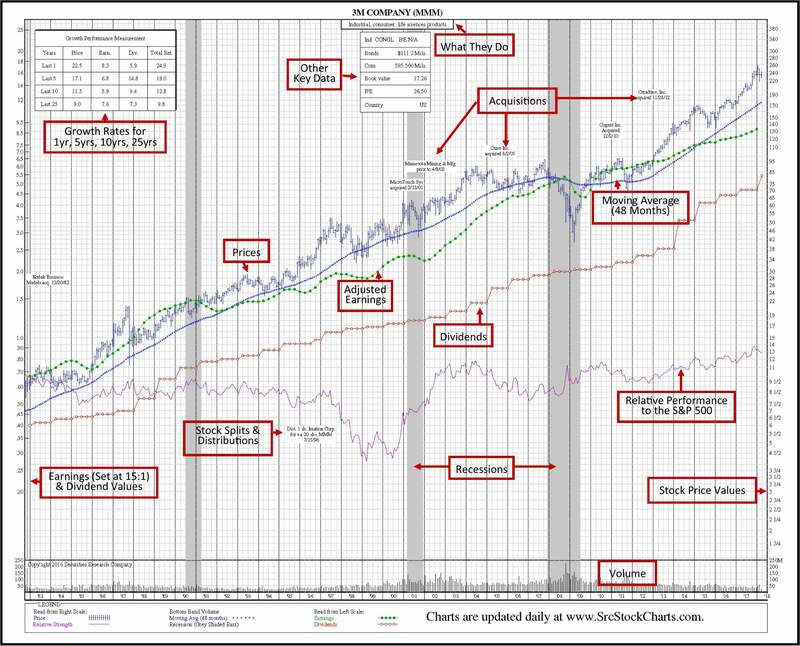 Each chart provides the monthly price ranges, adjusted earnings, dividends, relative-to-market performance, moving average, and trading volumes. In addition, all data has been fully adjusted for stock splits and dividends. Key events in the company’s history are noted. The 2018 print edition of the The Book of 50-Year Historical Stock Charts; 2-Volume Set. MOST POPULAR – Both Nos. 1 and 2 above. The 2018 Book of 50-Year Historical Stock Charts; 2-Volume Set, and one year service to ChartScreen’s Online Historical Charts.